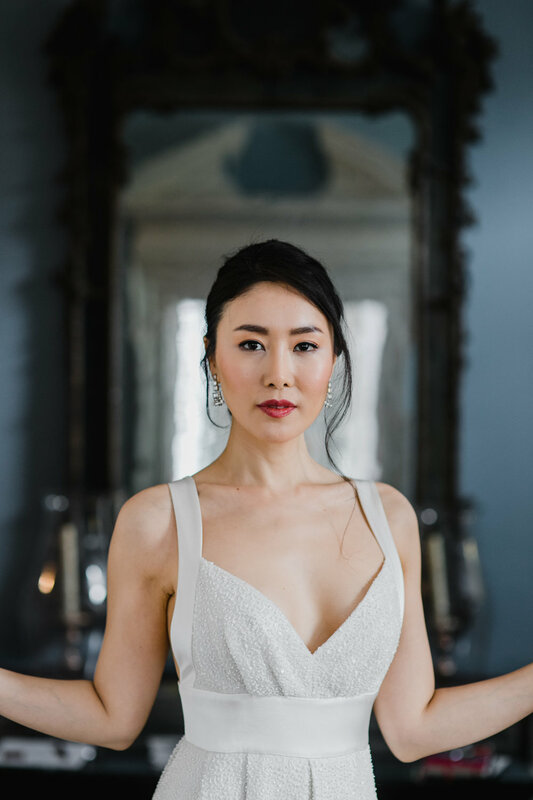 For this month's Bridal Beauty Look Book, we went on location at the historical Powel House in Philadelphia. For our forth and final look at this location, we went back to a classic simplistic look to pair with the beautiful interior of the venue. Makeup and Hair: Aleksandra Ambrozy. 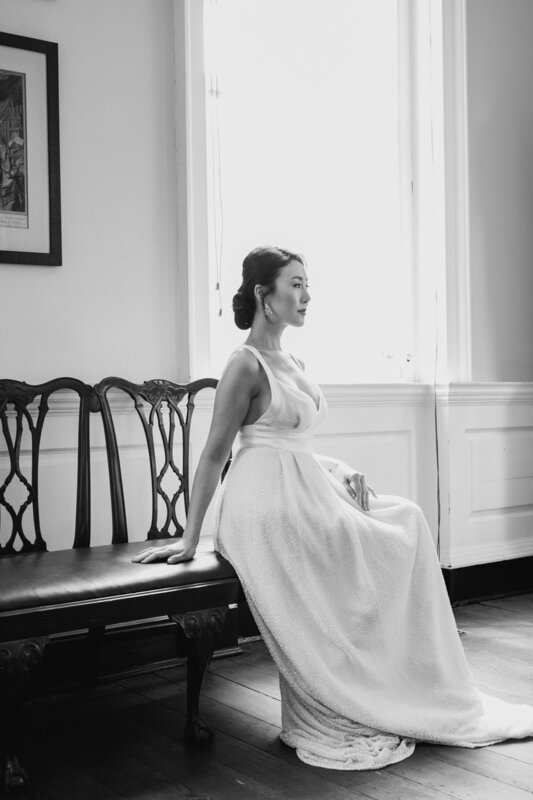 Dress: Skye by Savannah Miller from Lovely Bride.